Bourjois’ make-up brushes are ultra-soft and high quality – enabling easy application and a professional result every time. Perfect for use at home or on the move. The short handle means its small enough to fit in your handbag, but with the long soft bristle head, it is perfect for use with bronzers, powders and blushers. The bristles are thickly packed and the steel finish bottom has the brand name on it.. classy! This was the result of watching youtube makeup tutorials and it is officially my first makeup brush. Since it was the most affordable Kabuki around,I didn't give a second thought. Its small size and the perfect width make it easy to hold and apply. It picks up the right amount of product. 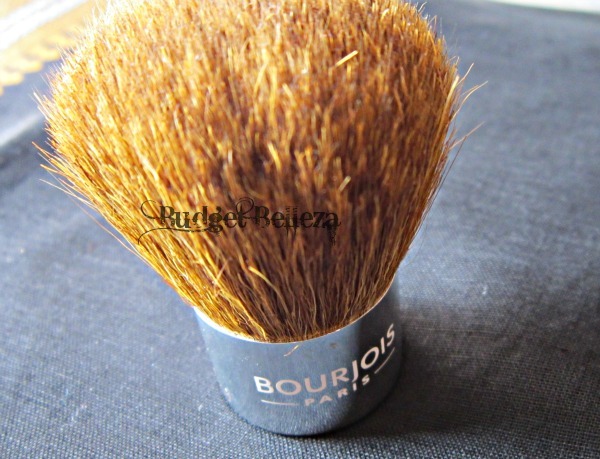 The copper-brown coloured bristles easily camouflage the product so it doesn't look dirty in the first use itself. The bristles are soft and thickly packed. They feel good on skin! 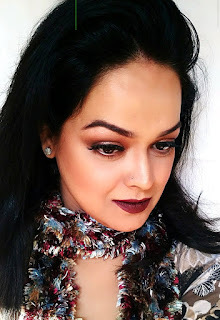 Its amazing for applying powder,blush and bronzers. Though I personally like applying bronzers with angled brushes. 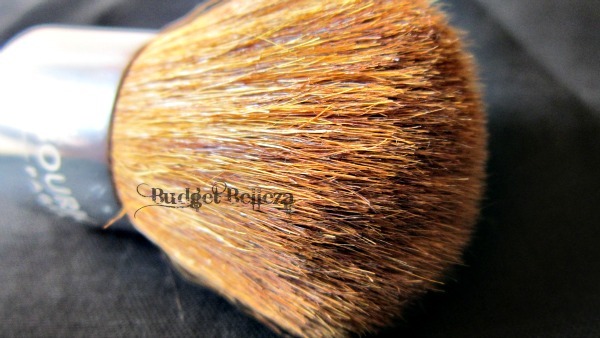 Its perfect for buffing bronzer and blush to make them appear seamless. 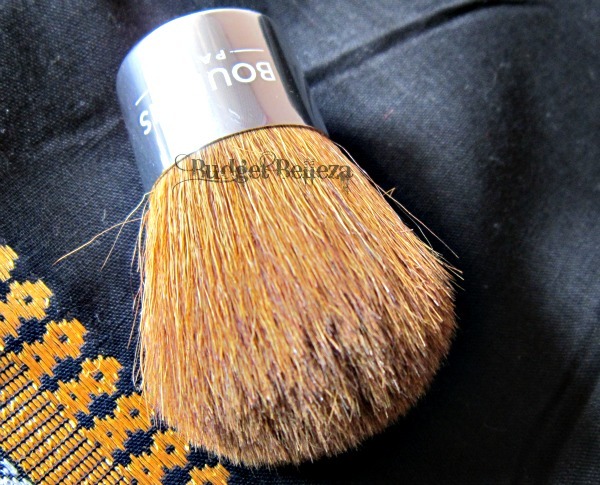 Infact as a part of experiment I even applied my Boots No 7 liquid foundation with this BOURJOIS Paris Kabuki Brush and the result was an amazing air-brushed effect. 1. Bristles feel soft and smooth on skin. 3. Easy to hold and use. 4. Picks up the right amount of product. 6. Doesn't look dirty in the first use itself. 7. Doesn't shed when washed. Online availability is an issue and I would have preferred if it came with a case..still not a con for it does what it is meant to do! 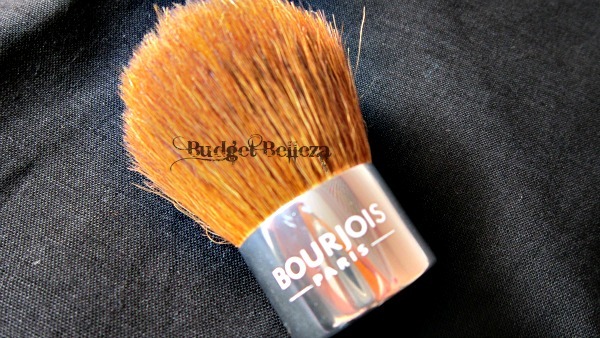 Its a great Kabuki brush.Its multipurpose and can be used for powder,blush and bronzer (even foundi) and gives a seamless application of all the above mentioned vanity products. 5/5... i am reading all great reviews abt this kabuki.. i am so getting it..
Sharmistha,I guess I shud add this in the Dislikes section !!! Great review Aditi.. I love kabukis a lot these days. Dont worry about the comments dear i know hoe it feels as i had such an experience with Intense debate. Hehehhe..after seeing u guys sympathizing with the loss of comments..I'm kinda recovering from it! Really? I'm gonna check ur review asap! You are sucha life saver now im gonna buy it!